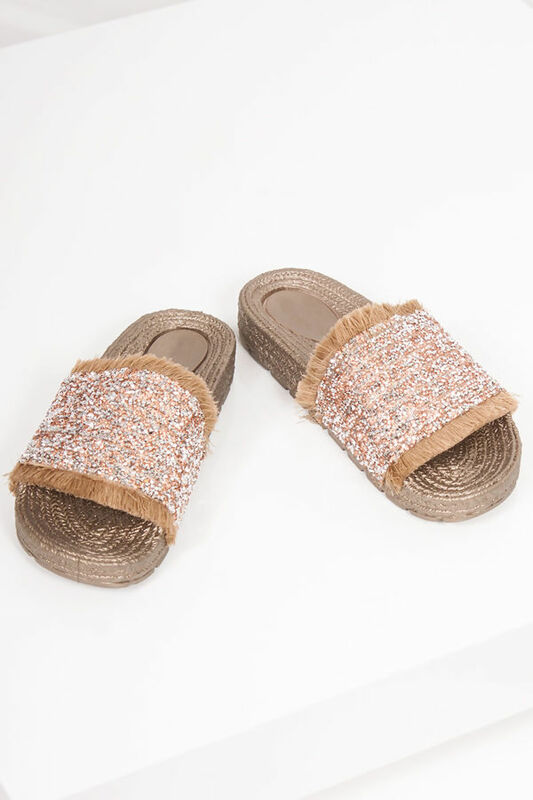 Slide into summer with an espadrille-meets-slider, SAGE! With a look-a-like woven espadrille finish, bronze diamante and silver bead embellished strap, complete with a fringe finish. SAGE are going to be your favourite go to poolside attire! 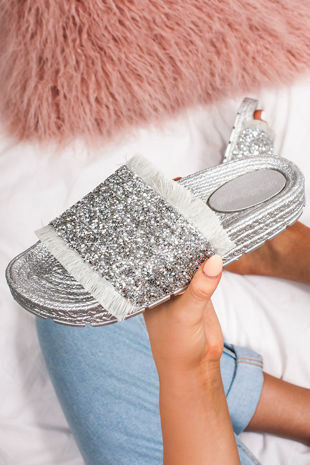 Style these chunky sole sliders with your favourite bikini or denim shorts and a cropped tee, for the perfect chic vacay look!